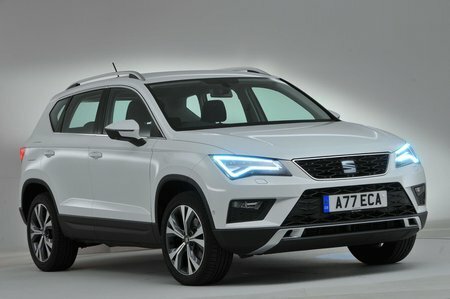 Seat Ateca Performance, Engine, Ride, Handling | What Car? With 113bhp, the entry-level 1.0 turbocharged petrol is fine if you spend most of your time in and around town, but we'd advise choosing a more muscular engine if you plan on doing regular motorway work or lugging around heavy loads. The 148bhp 1.4-litre petrol is our favourite, because while it won't match the fuel economy of the diesels, it's still respectably efficient. With solid mid-range shove and a willingness to rev, it’s also surprisingly nippy when you want it to be. The 113bhp 1.6 TDI diesel is worth a look if you're a company car driver or do above-average mileage; it's no ball of fire but pulls suitably strongly from low revs. Meanwhile, the 148bhp 2.0-litre diesel is available exclusively with four-wheel drive, so we'd only recommend it if you really need the extra traction; it’s more expensive and you pay a fuel economy and CO2 emissions penalty for the all-weather ability. That said, it's much punchier than the cheaper 1.6 diesel at all revs, with acceleration more on a par with the 1.4-litre petrol. Want even more power? 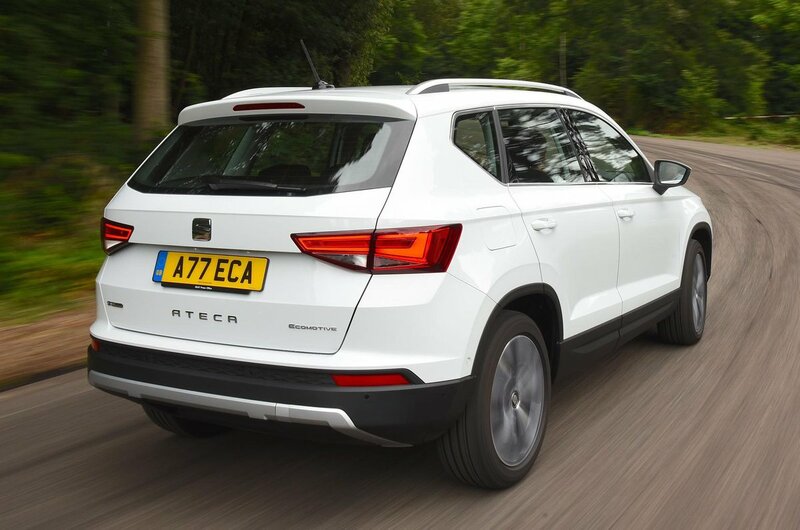 The 187bhp 2.0-litre diesel is the fastest-accelerating engine in the Ateca range, but it's very expensive. There's also a 187bhp 2.0-litre turbo petrol but, given how punchy the 1.4 is, we really wouldn't bother. Family SUVs have a tough brief; despite their raised stance, they're expected to corner without leaning too much while still offering decent ride comfort. Fortunately, the Ateca strikes a reasonable balance. True, it's firmer than some rivals, including the Nissan Qashqai and Skoda Karoq, so it can feel a bit fidgety over smaller undulations. 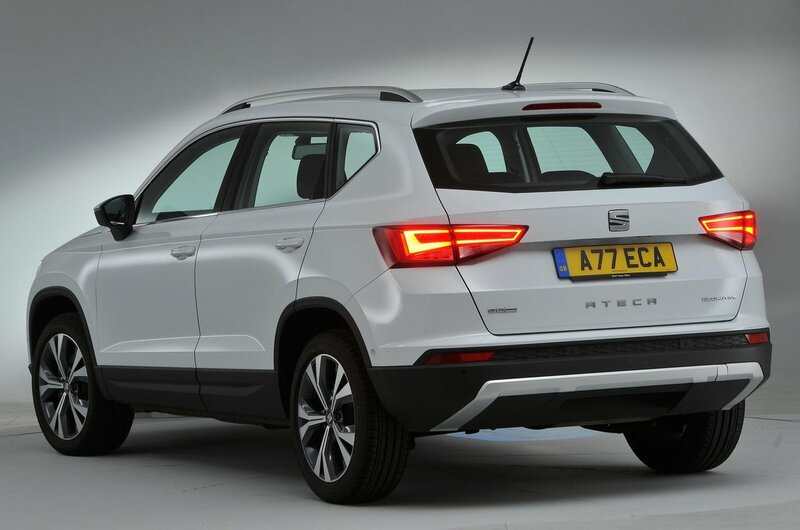 However, because the body stays well controlled over larger disturbances, such as sleeping policemen, the Ateca doesn’t continue to bounce and jostle you about once the bump has been and gone. The only time you feel a thud is over sharp-edged ridges and potholes. As is often the case, you’ll find that smaller-wheeled models ride better than those fitted with large wheels, so try to avoid the optional 19in alloys. And it's worth noting that the petrol models are generally more forgiving than the diesels. The Ateca is one of the best-handling family SUVs on the market. Let’s not get carried away, though; tall SUVs never handle as well as a well-set-up hatchback. So it’s no Ford Focus, but the Ateca does prove surprisingly good fun to drive down your favourite stretch of road. It’s certainly well ahead of direct rivals such as the Qashqai and even the closely related Karoq. The suspension is firm enough to ensure you don’t get too much body lean when cornering, helping to make the Ateca feel agile. Meanwhile, the steering is precise and offers decent feedback, making it easy to place the nose of the car where you want it. There’s plenty of grip, too, and four-wheel-drive models are even more fun because you can subtly feel power being sent to the rear wheels. Put simply, if you like driving and need a family SUV, the Ateca should be at the top of your list. The direct rival that comes closest is the nifty-handling Toyota C-HR. The Ateca impresses once again with how quiet it is. The petrol engines are hushed, even more so than in the Karoq, particularly the 1.4 EcoTSI. The 1.0 TSI needs working a little harder but never becomes uncouth when you do. The diesels are less impressive. The 2.0-litre unit sounds a bit gruff at tickover and gets boomy above 3000rpm. There’s enough poke that you’re unlikely to venture that high up the rev range too often, though, and you feel less vibration though the controls than in an equivalent Qashqai or Kia Sportage. As for the 1.6-litre diesel, it's actually boomier when you rev it hard, although not unacceptably so by class standards. And any noise fades mostly away at a steady motorway cruise. Whichever engine you choose, road and wind noise are well contained, despite the Ateca’s upright stance, and the clutch and gearshift have smooth and precise actions.